When I was growing up, I had an usual pin-up on my bedroom wall; a sight to gaze at longingly and incorporate into the daydreams I constructed around my future. The pin-up was the Royal Pavilion, Brighton. To my teenage self, with its domes which appeared to glow softly golden in sunlight and extravagant details like no building I had seen before, the Pavilion represented a world that was exotic and glamorous. It was also tantalisingly within reach and grounded in the familiar English environment of the seaside town. I vowed that, as soon as I was old enough, I was going to move to Brighton and start an exciting new life in a flat in a Regency terrace within walking distance of the Brighton Pavilion. Living the building’s distinctive shadow would surely imbue my life with excitement and adventure. Although I didn’t end up moving to Brighton, the Royal Pavilion sparked an interest in pavilions that stays with me today, from temporary structures and pavilions as works of art, to permanent and now iconic buildings. Pavilions, which are defined as buildings dedicated to pleasure, encompass structures ranging from humble sports pavilions housing changing rooms to Mies Van der Rohe’s Barcelona pavilion, which provided a setting for his now famous Barcelona chair. Pavilions have often been used to showcase and show off technical innovations, from the succession of World’s fairs, held throughout the nineteenth and twentieth centuries, which dazzled consumers with everything from automobiles to the latest products for the home (and wowed audiences at the 1939 New York World’s Fair with the highway-based model city of Futurama, a display sponsored by General Motors), to the 1951 Festival of Britain which was held to celebrate the centenary of Great Exhibition of 1851. The main Festival of Britain site was on the South Bank of the Thames in London, where 22 pavilions told the story of the British people and their achievements in science, technology and industrial design, themed The Land of Britain, The People of Britain and Discovery. Pavilions still give nations a chance to show off their innovation at EXPOs (or world’s fairs) today. British designer Thomas Heatherwick’s spectacular pavilion for the 2010 Shanghai EXPO, a twenty high foot structure inspired by seeds which was designed to sway in the breeze, comprised acrylic sections each holding a seed from Kew Gardens’ Millennium Seed Bank. Brighton’s Royal Pavilion is very much in the tradition of showing off, albeit the wealth of a private individual. It was completed in the early nineteenth century on the site of an earlier Marine Pavilion. Designed by John Nash, it exuded Oriental influences, inspired by India externally and using China as the basis for its decor. The Pavilion was the seaside home of George IV (then Prince Regent), where he could live a life of pleasure and excess far from the constraining influence of his parents. As Jonathan Meades put it in his 2005 TV documentary about the Pavilion, it was a place for George to live, entertain and pose, ‘the stage for a perpetual party’. The Pavilion is completely out of place in the town and is an especially striking sight at sunset and at night when it is illuminated. It is now such a symbol of the city that a simplified version appears in Brighton and Hove council’s logo. Tastes change, and now I’m a bigger fan of the De La Warr Pavilion in Bexhill on Sea, just around the coast from Brighton in East Sussex, which was built in the International Modernist style. 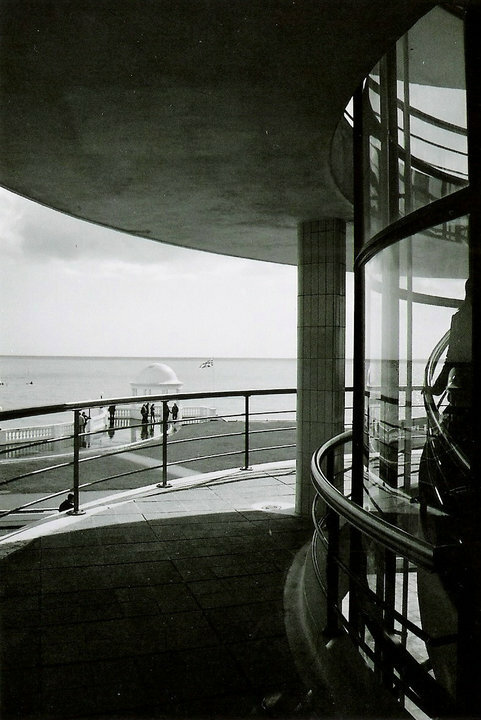 The sleek, streamlined Pavilion faces out to sea and has an escapist glamour, incorporating a sweeping staircase, sun terraces and big windows. 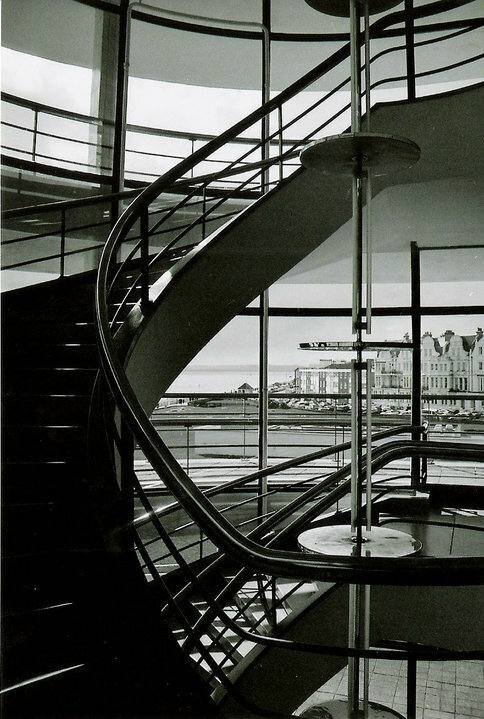 Its sleek curves help the Pavilion settle into its surroundings: the bay windows of traditional seaside houses. 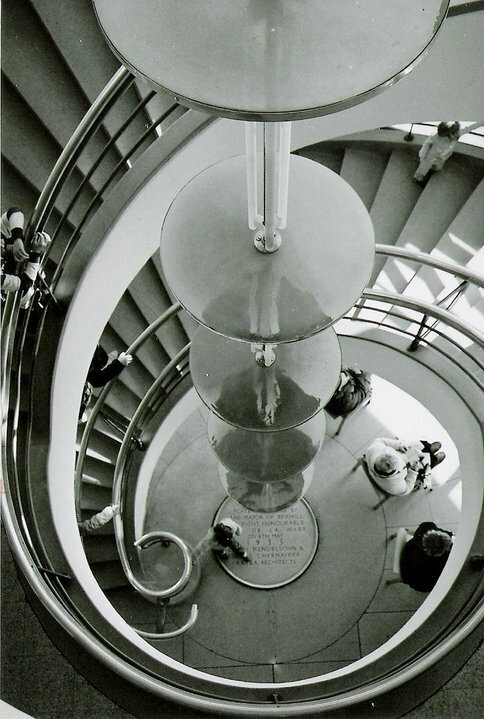 Whereas the Royal Pavilion was exclusive, extravagant and fanciful, however, the De La Warr pavilion is clean and unfussy, pragmatic and democratic, a public building that aimed to bring culture and leisure to the people of Bexhill, originally designed to incorporate an entertainment hall, restaurant and reading room. Like the Royal Pavilion, which featured gas lighting and flushing toilets (even for the servants! 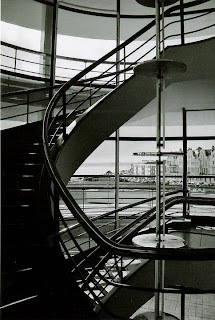 ), the De La Warr was at the cutting edge of modernity when it opened in 1935 and was the first building in England to be constructed with a welded steel frame. It, too, was associated with a member of the aristocracy. 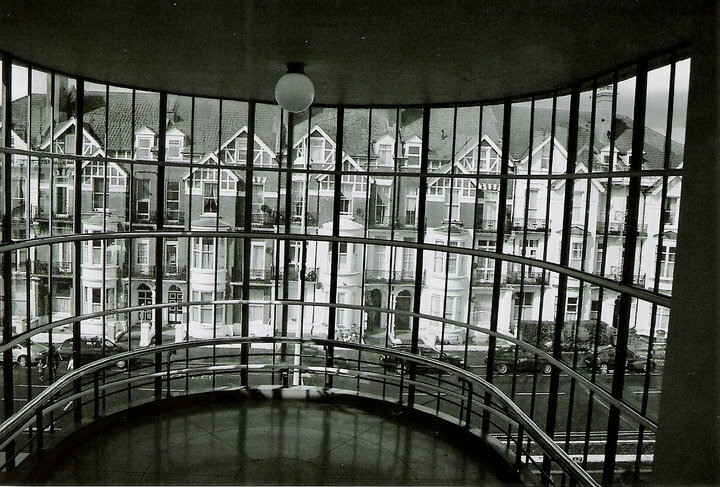 The Pavilion was funded by the 9th Earl of De La Warr, who was mayor at the time. 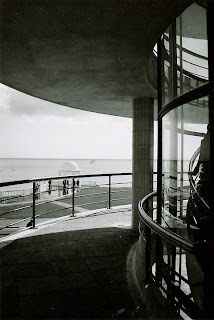 The De La Warr Pavilion was designed by young architects Erich Mendelsohn (who came to Britain shortly beforehand to escape the Nazis) and Serge Chermayeff. During the war the building was used by the military, and fell into disrepair. The Pavilion narrowly avoided becoming a Wetherspoon’s pub, but, after restoration in the late twentieth century, is now back to serving its original purpose bringing leisure and entertainment to the people of Bexhill, from exhibitions of nationally and internationally renowned artists to concerts and film screenings. Another Pavilion that has seen its fortunes change since it was built is the Apollo Pavilion in Peterlee, County Durham, which was back in the news in late-2011 after it was awarded Grade II* listed status. Built in the Brutalist style out of reinforced concrete, and originally functioning as a bridge over a lake, it was designed by renowned abstract artist Victor Pasmore to be the focal point of a new town in a former mining area. As well as acting as a giant, outdoor public artwork in itself, it incorporated murals by the artist. Pasmore was used to collaborating with architects (he designed a mural for the Festival of Britain in 1951 and another for Kingston Bus Station) and was appointed Consulting director of urban design with Peterlee development corporation, where his role went beyond that of mere artist to have an input into the design of houses and other buildings. Pasmore envisaged ‘a synthesis of architect and artist in which common factors…were pooled in the interests of a common end’, and wanted the Pavilion to be named Apollo after the 1969 moon landing. Like the innovative design of the town itself, the Pavilion symbolised a brighter future of hope, optimism and adventure. Unfortunately, the Pavilion soon became neglected and vandalised (though, reportedly, Pasmore welcomed graffiti as he thought it ‘humanised’ the structure) and, in the 1980s, a local councillor mounted a campaign to demolish the Pavilion. I first became fascinated by the Apollo Pavilion a few years ago after I saw artists Jane and Louise Wilson’s four screen video installation Monument (Apollo Pavilion, Peterlee) at the Whitworth Art Gallery in Manchester. Made in 2003, it shows local children clambering over the structure and using it as a giant climbing frame. It’s an image that has stayed with me ever since: the fusion of art and the everyday, the practical and the decorative. Though the post-war architectural optimism the Pavilion epitomises has long since evaporated, the Pavilion itself has stood the test of time and underwent a major restoration 2009. Among my favourite pavilions are those designed by the American artist Dan Graham*. Since the 1980s, Graham has been constructing two way mirror pavilions that sit somewhere between art and architecture, acting as kaleidoscopic halls of mirrors to be explored by the public. Two way mirror glass is both reflective and transparent, and Graham’s pavilions raise questions about corporate architecture and surveillance: who can see in and who can see out? The audience is spectator but also performer, highlighting the gap between the way we are seen by others and the way we see ourselves. Installed in towns and cities around the world, often in public spaces and parks, Graham’s pavilions question boundaries and reflect their surroundings but also corrupt them, reinterpreting the everyday day environment as a place of play and leisure, a space where the real becomes real and the natural unnatural (and vice versa). They’re places to people watch and watch the world go round, or just observe the changing sky. 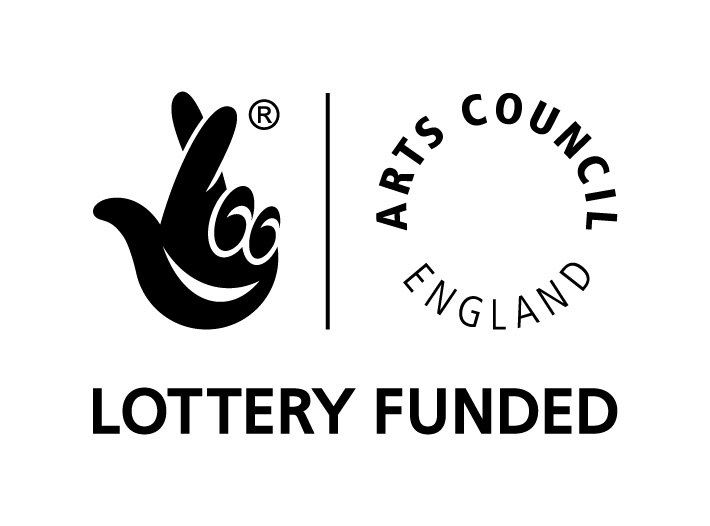 Play is important to Graham’s pavilions, from those designed especially for children and old people to watch cartoons, such as the drop-in daycare centre Waterloo Sunset, an installation at the Hayward Gallery from 2002-2003, to his 1989 Skateboard Pavilion. Another pavilion which makes you look more closely at your surroundings is Luke Jerram’s acoustic wind pavilion Aeolus, which visited Salford Quays in 2011 as part of a tour that also took in sites as diverse as Lyme Park, Cheshire, and the Eden Project in Cornwall. The Pavilion consists of stainless steel tubes that emit a low murmur when wind hits strings attached to the pavilion at the right frequency and causes them to vibrate. Press your ears to ears to the tubes and they hum different notes, speak into them and your voice bounces back at you. 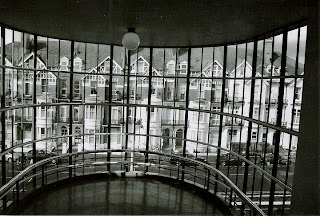 An accompanying exhibition in the University of Salford explained that the pavilion was influenced by the concept of a room where the silence is so complete you can hear your own blood, and the beauty of the pavilion is that it makes you stop and listen and makes you more aware of what’s around you, whether it’s trams and cars or passing people. The structure also reflects and highlights the light outside. One of the most impressive clusters of pavilions is in Venice, where the canal-side Giardini (gardens) holds 30 national pavilions built to to show off the talents of their countries at the city’s famous biennial art show (the city is also scattered with pavilions in old palazzi and churches). They were built in different styles over the twentieth century, from elaborate and neoclassical to solemn white cubes and light, airy modernist masterpieces, by some of the most important architects of the twentieth century including Alvar Aalto. Exploring the different pavilions is often as exciting as seeing the art they contain within – especially when the artwork transforms or disguises the building itself, for example Mike Nelson’s 2011 British Pavilion which turned the space into an uncannily lifelike recreation of a Turkish house. At the 2011 Biennale, the festival hosted for the first time para-pavilions – pavilions within pavilions curated by different artists – which comprised some of the most interesting exhibitions. Since 2000, leading architects who had not hitherto built anything in Britain have been commissioned to create temporary pavilions, lasting for six months, outside the Serpentine Gallery in London’s Hyde Park. Architects have interpreted the brief in different ways, from Daniel Libeskind’s scrap metal-esque pavilion to Zaha Hadid’s marquee. Rem Koolhaas built a gas-filled orb, which was used for his regular collaborator Hans Ulrich Obrist’s 24 hour interview marathons, whereas Peter Zumthor envisaged a garden within a garden, installed in 2011. The Serpentine Pavilions can be purchased and reused, though they are generally not reinstalled in public places. In Manchester, we have our own small bit of star architect. Tadao Ando was commissioned to design the Japanese Pavilion in Piccadilly Gardens as part of the redesign of city centre Manchester that took place after the 1996 IRA bomb and in the run up to the 2003 Commonwealth games. The Pavilion, which takes the form of a concrete wall separating the gardens from the bus interchange, has long divided Mancunians, who often see it as stark and unwelcoming. Ando has done some spectacular work, incorporating light and water into buildings such as museums and churches elsewhere in the world, but maybe there’s something lost in translation under the frequently grey skies of Manchester. My main complaint, though, is the use of the Pavilion: far from being an open public space for pleasure and enjoyment it holds, rather unimaginatively, a chain coffee shop and chain restaurant (neither of which I’ve ever felt any urge to pay to visit). With the city noticeably lacking bandstands from its public parks, couldn’t it at least be put to use as a space for performance and recreation, a stage for buskers? Dan Graham, 'Pavilions' from GSA on Vimeo. 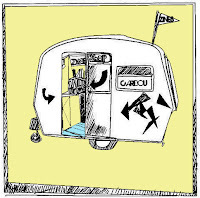 Far from becoming obsolete now anyone can freely share anything anywhere, anytime online, the fanzine is thriving in the age of digital culture, from the simplest photocopied diary-style zine to lavish artists' books and zines created especially for Kindle. 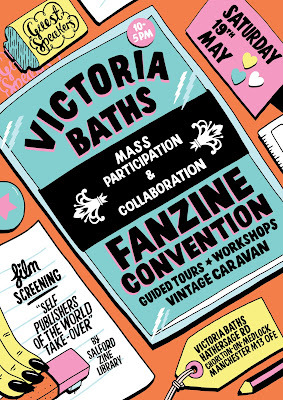 The first Victoria Baths Fanzine Convention, held during Future Everything in 2011, looked at how self-publishers can harness digital technology to enhance and work alongside the printed word, using the two formats to engage and cross-promote between different audiences. 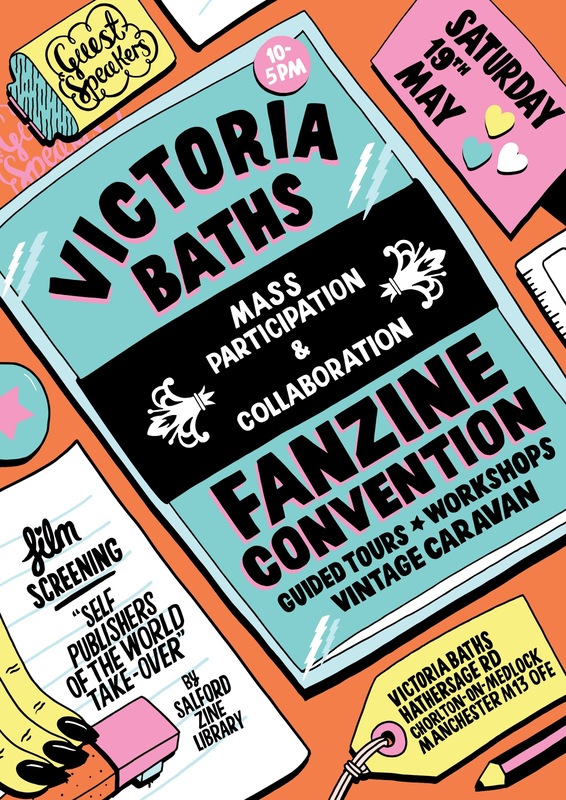 The second Victoria Baths Fanzine Convention will look at how the virtual world is allowing networks of zine makers to share publications, news and experiences all over the world. There will be a small charge of £2 to enter the building as a Future Everything venue. Cazz Blase wrote the fanzine Aggamengmong Moggie between 1993-1999, Real Girls in 2001 and Harlot's Progress between 2002 - 2006. Along with Holly Combe, she is one of two music review editors at The F-Word website, for which she has written extensively about both women and the UK punk scene and the UK riot grrrl scene. 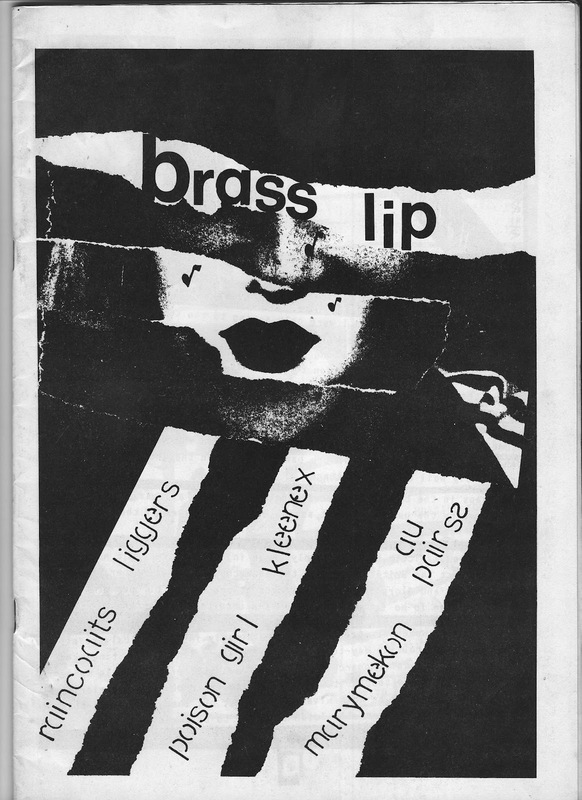 She was a contributing author to the book Riot Grrrl: Revolution Girl Style Now! (Black Dog Publishing, 2007). Cazz is from Stockport and blogs about Manchester and Greater Manchester at http://toolateforcake.wordpress.com. She works as a library assistant at Manchester University. David Wilkinson is a writer, musician, public librarian and PhD student working on the politics of British post-punk. 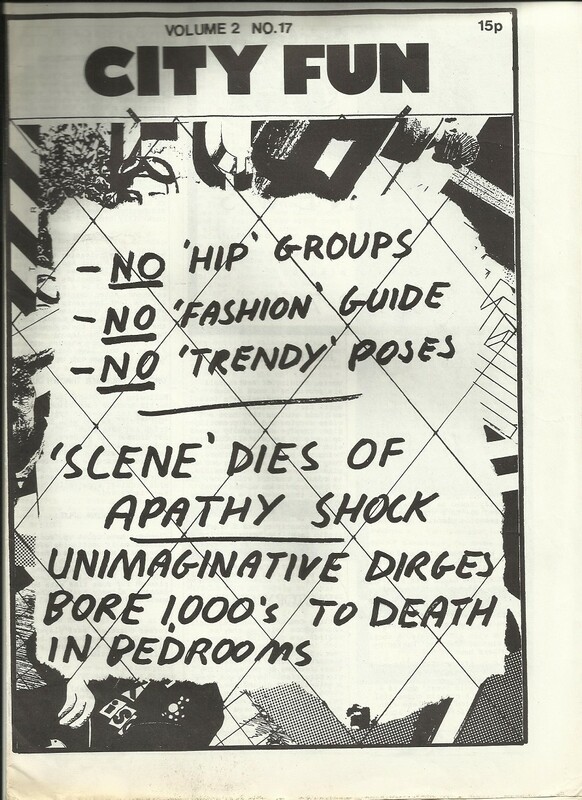 City Fun was a Mancunian countercultural publication founded by Andy Zero in 1978. After Liz Naylor and Cath Carroll joined the editorial team, it became the city's dominant post-punk paper until it folded in 1984. 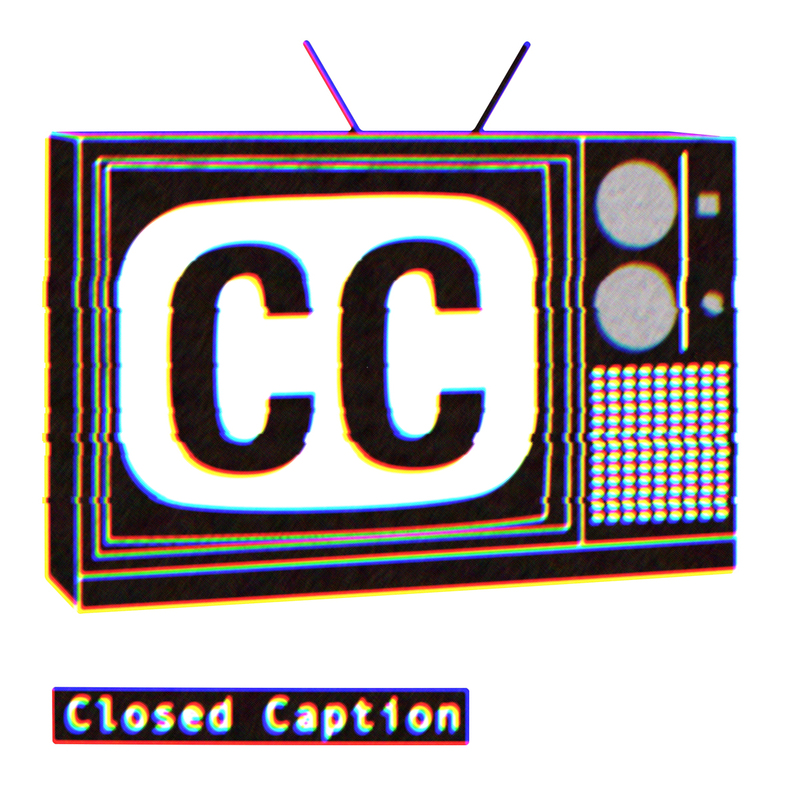 Closed Caption aims to make subversive content through appropriation. 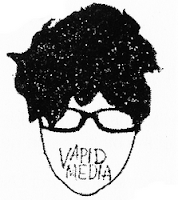 This new group, which now replaces Rotherham Zine Library, will make zines that twist found content to create new meaning and revel in the absurdity of social norms. 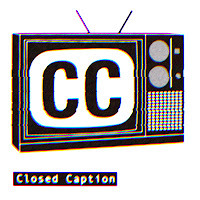 Closed Caption intend to use the zine library as a resource and are looking at how they can add their collection to existing events and places to create interesting new ways to read zines. 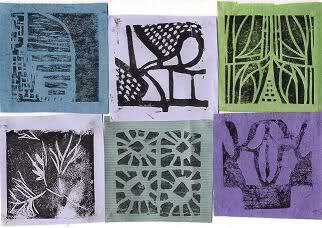 They also hope to develop the collection by trading zines with others around the world. Watch Salford Zine Library's 2011 film Self Publishers of the World Take-over, which features self-publishers from all over the world talking about their work. The screening will be followed by a Q and A with director Craig John Barr. Visitors will be able to take tours of the building for a small fee of £2.50. Join the Victoria Baths fanzine-making co-operative! A fanzine is a small, self-published book or magazine dedicated to a subject the people who are making it love. 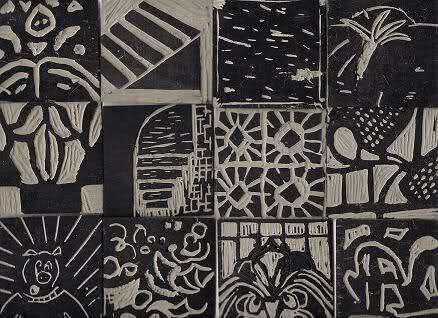 It is usually personal and handmade and contains a mixture of drawings, writing and things like collages and photos. We think Victoria Baths deserves its own fanzine but we need your help! 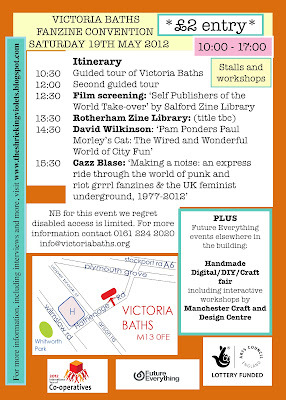 We want visitors to the Victoria Baths Fanzine Convention to help us make a fanzine all about this unique, beautiful building and show us what they like best about this fascinating place! 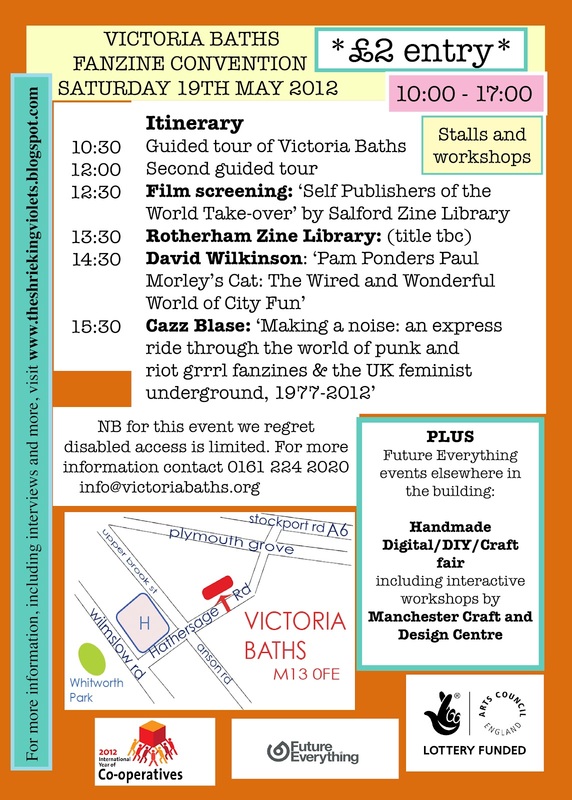 Join in the workshops in the former superintendent's flat to make either your own, individual Victoria Baths fanzine or add to a Bunting Book that will be displayed in Victoria Baths as one big fanzine for future visitors to see. Be inspired by pictures and memories of the building's past from the Victoria Baths Archive. 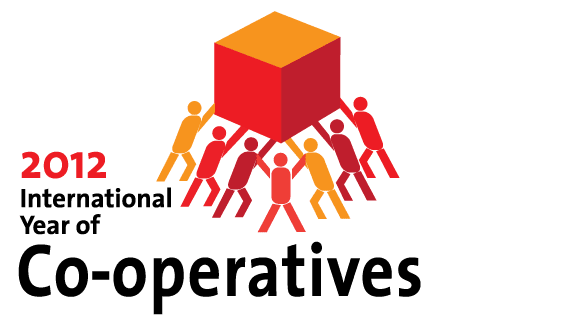 2012 is the United Nations' first International Year of Co-operatives. Leeds-based Footprint Workers' Co-operative are bringing along a Risograph and will discuss how to prepare material for print on a Risograph — learn about page imposition, limits on paper size and margins, two colour work and picture quality for the Risograph digital duplicator with a quick guide to communicating with printers. 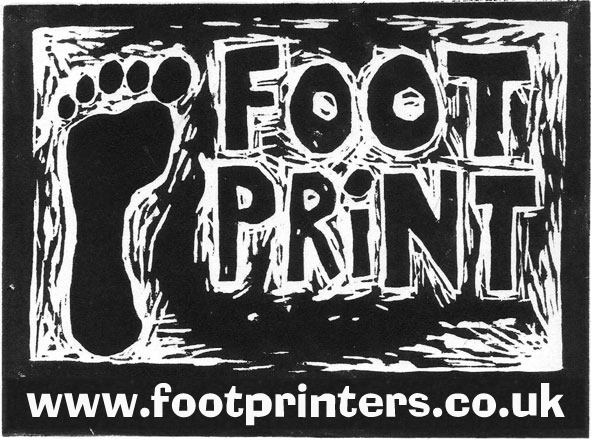 Footprint will help you get the most of the risograph and make your zines and fliers look better. Co-operative working and living is creative, empowering and potentially radically anti-capitalist. What are co-ops and why should you be in one? Including workers' co-ops, housing co-ops, community co-ops, collective power and common ownership. 'Alice in apps land: explore your smart phone and your environment', presented by Visual Think Map in collaboration with Shift Space. During this workshop you will discover the local landscape through digital stories and learn more about apps and the functionality of how your phone can enliven the world around you. Through an interactive and engaging tour of the area near Victoria Baths you will discover and digitally collate, using your phone, a variety of people's memories and your own as we introduce you to new apps and narratives, including old photos and memorabilia of the area. We'll finish by making an interactive map where everyone can share what they've made and then print a map. DON'T FORGET TO BRING YOUR PHONE AND WE'LL SEE YOU THERE! Feminist duo Vapid Kitten invite visitors to contribute creatively to a special edition of the fanzine Vapid Kitten (published both in print and for Kindle). 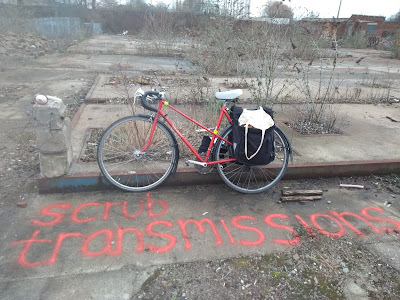 They will be constructing issue 8, themed 'Collaboration', throughout the day at the Victoria Baths Fanzine Convention, aiming to include a big mishmash of experiences, words, drawings, collage and poems. Fanzines from across the country will be available to browse and buy. Nottingham's Caribou, a zine shop in a vintage caravan, will be setting up shop outside the building. 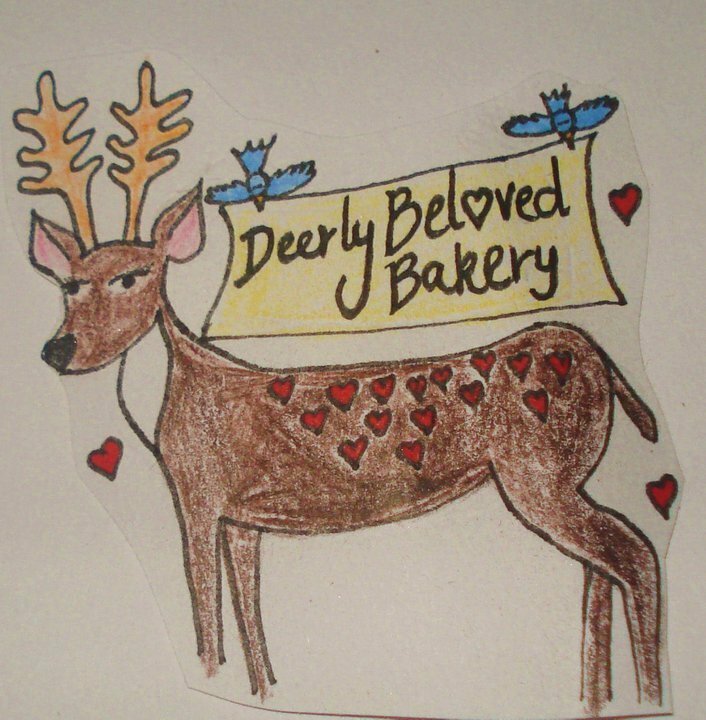 Norwich-based Deerly Beloved Bakery is proud to be celebrating its first birthday at the Victoria Baths Fanzine Convention, returning with good food that is cruelty free including vegan cakes, whoopie pies, brownies and savoury pies and pizza slices. Deerly Beloved Bakery specialises in vegan cakes, pastries, biscuits, cupcakes, muffins, breads, salads, starters, mains and desserts. It does not use any animal products. All cakes and bakes are made by hand in small batches using real bourbon vanilla, unrefined non-bone char sugars and margarines free from hydrogenated fats. No artificial preservatives or flavourings are used. Leeds-based fanzine-maker Melanie Maddison will display a series of posters of inspirational European women around the balcony of the female pool, from her zine entitled 'Shape & Situate'. The posters highlight the (often hidden) history and lives of radical, inspirational women and women's collectives from Europe, connecting us with the past, inspiring us in the present and visually bringing women’s social and political history to life and into view. See more photos from last year's event here, here and here. Poster by Kate Prior. 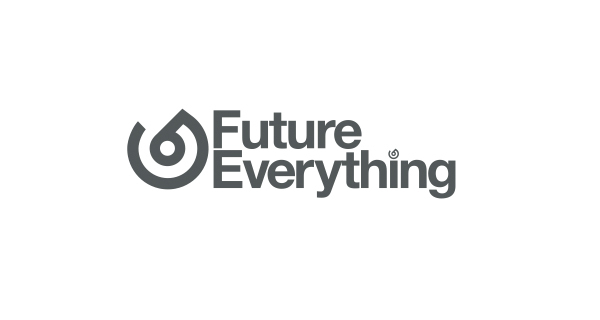 Future Everything events elsewhere in the building: Handmade will be a day of contemporary craft, digital hacking, interactivities and DIY culture, including a craft fair and a workshop by Manchester Craft and Design Centre. 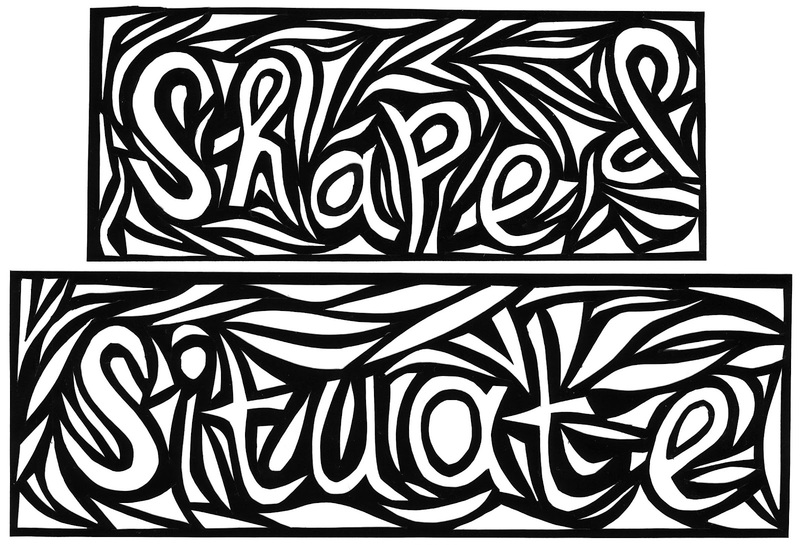 Find out what's on at http://futureeverything.org/art/whats-on-at-handmade.